New baby products come out every year. Companies spend tons of money trying to convince moms and dads that they are less of a parent or don't love their kids enough if they don't get the latest and greatest stroller, carseat, baby gear, outfit or toy. Although I'm of the mindset of less is more, there are a few new baby items that I have been loving lately! 1. 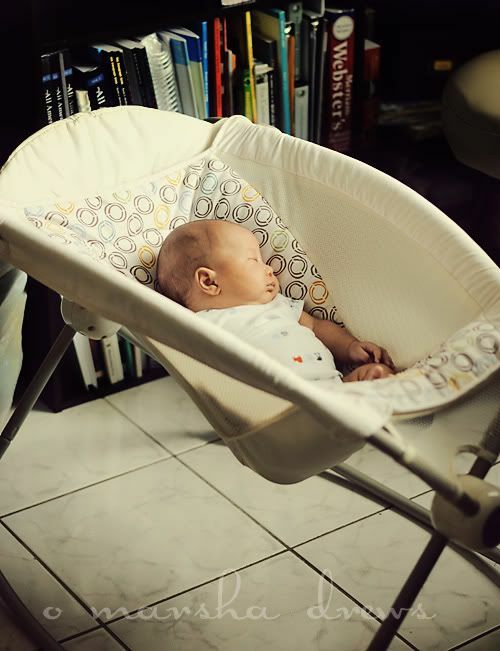 Fisher Price Rock N Play Sleeper - If you get this, you will love it and your baby will love it and their head might get wonky if they love it too much so be sure to also get this noggin nest. This is where Ian usually naps. Portable, comfy, and makes him happy. 2. Zippered Sleepers - Easy on, easy off. Night or day. 3. Twist and Fold Activity Gym - When babies are just getting out of the sleep 23 hours a day stage, you end up needing one more "station" to capture their interest so you can brush your teeth, pee, or help someone with their math. I love the colors and that it folds up. Ian likes the mirror and hits the toys with his hands and feet. 4. Muslin Swaddle Blankets - A little pricey, but these blankets are generous in size, wash up to super softness, and are perfect when the temps are a little on the warm side. 5. 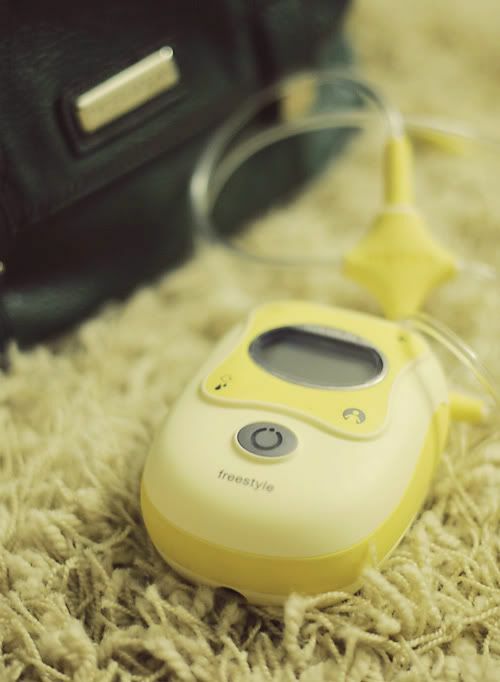 Medela Freestyle Breastpump - Oh my goodness, this was a lifesaver for us! Medela makes the best pumps ever. When Ian was in the hospital for 2 weeks, this bad boy (the pump, not Ian) worked tirelessly every 3 hours. Nothing like good ole breastmilk to fatten and grow a wee little one into a chunky monkey! And this little number is worth the extra money for the sheer sake of being able to toss that LITTLE square pump into the diaper bag, your purse, or pretty much anywhere. Rechargeable and easy to use, I keep it in a little tote so I can pump in the car if need be. I also throw in this nursing cover to keep other people's uncomfortableness at bay. Some people call them hooter hiders which totally makes me *snort*. We're not to the Bumbo stage yet, but I am shocked in both good and bad ways at all the new fangled baby things that are available. Do you have a new favorite? Is there something you wish you had back in the day? Any must-have's that I'm missing out on? One thing that we have used with Peter (he just started sleeping without it last week) was a babg bag. It kept him nice and warm in the winter with the thicker one and warm, but not hot in the summer. I think that they are great because they don't get kicked off. Mark wishes they made adult size. :-) It was really funny to watch Peter walk while he was wearing it. He looked like Sweet Pea. What a great post. It makes me want a baby. I'm so glad he is thriving. So, my favorite baby thing when Tabby was a baby (UGH she's 6 NOW! )was my ergo! Easy on and off, and my back never ached and I wore her a LOT. She saw most of Boston from my back. It's amazing! (On a side note, Hannah's almost 16, so maybe I'm not too many years from holding a grandbaby hehehe SO looking forward to that!). Did I really write "where" for "wear"??? Oh Goodness! Usually I let things like that pass, but that was BAD! I'm just taking note of your favorite things because your usually pretty smart on the front of what's really needed and what's not. :) Not that I NEED to take notes....just do....just in case. :P Love you! Those bouncy seats have been my favorite for the past 14 years of babies! And I love the zippered sleepers that don't have legs - we call them "baby bags". It's great to not have to try to match up snaps when you're up for another bleary-eyed nursing and diaper change. The jumperoo!!! Definitely a must as he grows...Eliana loves hers, she bounces likes crazy! I'm with Coco~~ I adore my Ergo! Versatile. Easy. Comfy. Supportive. Really Durable! It's SO worth the price! #5: Camilia drops. Concentrated Chamomile essence in a vial. Just twist off the end and drip or squirt it into Baby's mouth and VOILA no more fussy baby!! Yep, those are my faves! ERGO! And my tiny diner portable placemat--keeps table yuck out of Hudson's mouth oh, and the shopping cart/high chair cover. OK. I want to squeeze him. And yes, I am shocked. For us, it's been 8 years since we had a baby and all these "new-fangled" things are blowing my mind! Still, I'm MOSTLY sticking with the basics. We don't have a lot of room. And my nursing cover was made by a bloggy friend whose husband is in the army. The name? Mammo Camo. :) hee hee!